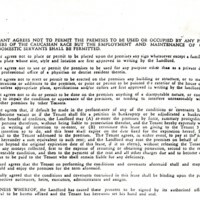 The second page of a lease agreement for a Levittown home with covenants the tenant agreed to abide by during his occupancy of the home. 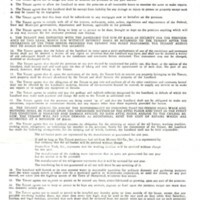 A photograph of William Levitt, Abraham Levitt, and Alfred Levitt. 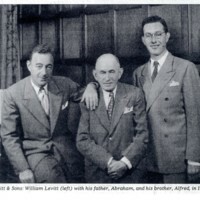 Photo caption reads "Levitt & Sons: William Levitt (left) with his father, Abraham, and his brother, Alfred, in 1947"